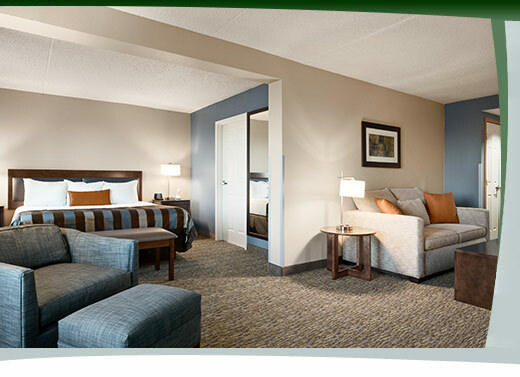 Convenience and service are the hallmarks of the conveniently located Wingate by Wyndham in Fargo. Whether visiting the area for leisure or business, your travel experience is enhanced with the services and amenities of a top rate hotel. Guests at the Wingate by Wyndham Fargo enjoy the hassle free ease of our 24 Hour Business Center, Fitness Room and Indoor Pool and Whirlpool, Free Internet access throughout the hotel and flexible meeting space. Start your day with a complimentary hot nutritious and delicious breakfast buffet served in our Hospitality Area. Eggs, sausage, breads and pastries, hot waffles, yogurt, hot and cold cereal, flavored coffee and tea are just as few selections available. Our Hospitality Area is conveniently set up for guests to watch the Big Screen TV, socialize or use their laptops for a working breakfast. Wingate by Wyndham Fargo does not accept pets.